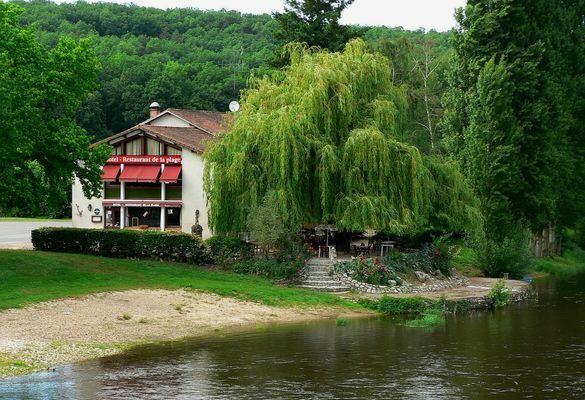 "L'Hotel de la Plage", located by the river Vienne, offers five rooms in a leafy setting. Located by the river Vienne, this restaurant offers set lunchtime menus from €13.00 during the week and set menus from €19.00 to €32.00. Its chef offers his specialities: homemade duck foie gras with Pineau des Charentes, scallops with orange butter, haddock casserole with crayfish, and raspberry gratin in hot and cold chocolate sauce. In summer, you can enjoy the terrace with its panoramic view over the Vienne valley. "Le Restaurant de la Plage" is open every day for lunch, and on Saturday evenings. That little extra something: its leafy setting. * Hôtel fermé une semaine en hiver et deux semaines en été (dates à confirmer). There is no review about Hôtel Restaurant De La Plage, be the first to leave one !